Increase Traffic and Improve Profit. 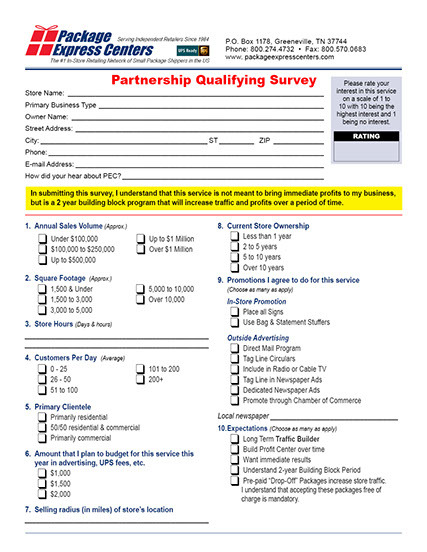 Click below to see what UPS says about Package Express Centers, Inc.
Our one page questionnaire takes about 5 to 10 minutes to complete and helps YOU become a PEC partner ASAP. Endorsements from retailers with PEC.